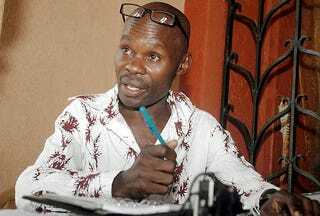 Ugandan gay-rights activist David Kato has been bludgeoned to death. His picture was recently published by an anti-gay newspaper next to the words "Hang Them, " in a country where it seems it's truly not safe to be gay. A controversial bill even proposes the death penalty for some homosexual acts. Barbaric. Tragic. Horrifying. Especially compared with the relative law and order of the United States, this story is shocking. It's tempting to shake our heads in dismay at what's allowed to go on in other nations. Here, our battles regarding homosexuality — "Don't ask, don't tell," and the gay-marriage debate — are mild by comparison. But doesn't opposition to civil rights for gays often stem from the same place as violence against them? Can't these both basically be traced back to, as Ta-Nehisi Coates once put it, a fundamental "yuck" reaction to homosexuality? The jury is still out on whether African Americans are actually more homophobic than anyone else (Could it be that homophobia is tied to wealth or education? Perhaps something like poverty or church attendance is a better predictor of it than is race?). But a tragedy like this –- one that appears to be motivated by homophobia — makes me think that our focus shouldn't be on denying allegations that we’re the most backward group on this issue. Instead, maybe we could aim to lead the charge to make the world a decent and safe place for gay people to live, at home and abroad. In other news: Kelley Williams-Bolar: Mom Convicted for Lying to School District Released.